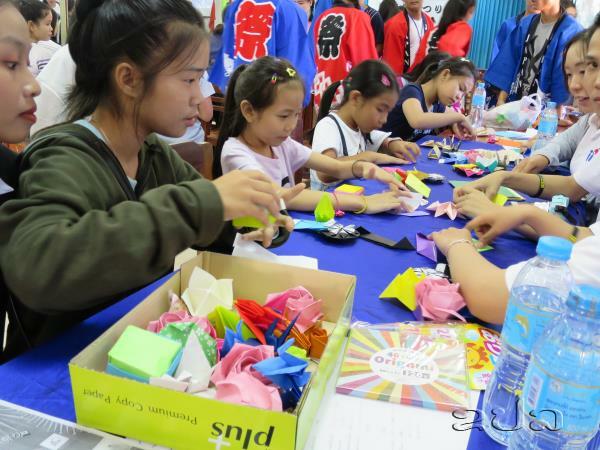 (KPL) The 2nd Japan Festival in Savannakhet Province was organised by the Japanese Language Department of Savannakhet University in cooperation with the Japan Foundation, the Japan International Cooperation Agency (JICA) Laos Office, the Laos-Japan Institute and the Embassy of Japan, on Nov 4, 2018, at the university. 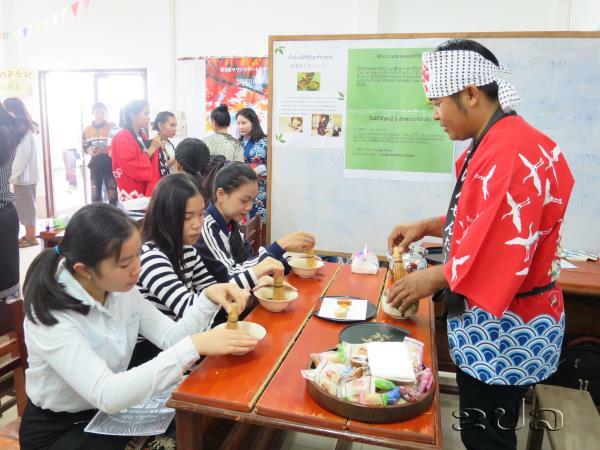 Japanese language courses at Savannakhet University started with a single language course in January 2014, and has grown ever since to become the Japanese Language Department in November 2017. The Department is expected to boost the Japanese language skills of students in Savannakhet where a number of Japanese companies are investing in its Special Economic Zone. The Department currently has an enrolment of 51 first and second year students. 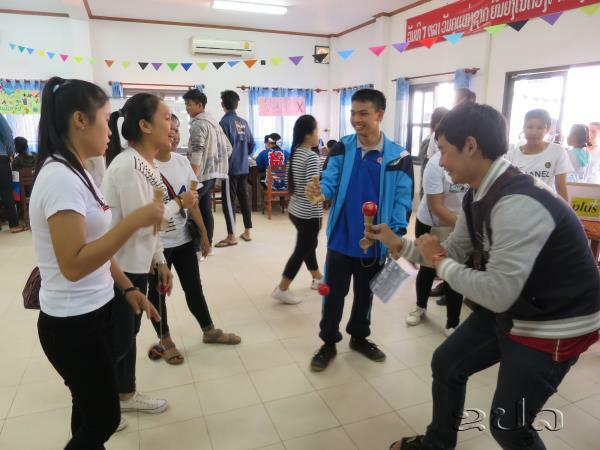 These students are expected to improve their Japanese language skills and contribute to strengthening friendly relations between the Lao PDR and Japan. The Japan Festival aims to promote Japanese language studies as well as to deepen mutual understanding between Lao and Japanese people. The first festival was held in 2015. This year edition of the festival included sado (tea ceremony), shodo (calligraphy), origami (paper folding), wearing yukata and Japanese traditional toys. Furthermore, Aikido (a Japanese martial art) demonstrations were given by Japanese experts and singing and dancing performances were presented by Lao students from the Japanese Language Department. The event was attended by Dr. Bounpong Keorodom, President of Savannakhet University, Mr. Takekiyo Kamitake, President of Kitani Electric Lao Co., Ltd., and Mr. Takeshi Hikihara, Ambassador of Japan to the Lao PDR. In addition, government officials, teachers and students, as well as local residents, attended this event to learn more about Japanese culture.